The Christmas fundraiser was a success! Sveta and I are ecstatic! equipment to be put to use immediately. We will have receipts for every purchase soon. Take a look at our latest three videos. If you only have 6 minutes to spare, be sure to see our 2017 update video. On our last visit to America, friends ask me if Ukraine is changing for the better. I say emphatically, “Yes.” Here is a current article that suggests that corruption is under attack. In Ukraine, a Successful Fight for Justice, Then a Murder It is not a pleasant story, but it does show that truth is what Ukraine is moving toward. Corruption is on the way out. It is interesting to read how some journalists represent Ukraine. This article about the new police force in Ukraine is not exactly 100% correct. Read the comments at the bottom of this link page. I have lived in Ukraine for 15 years and I have watched change take place in different cities. I see the new young police force in our city. I see a generation of young people who want to change their country. When you read about Ukraine, challenge everything. With fake news and propaganda hackers, we must test the sources of all that we read. I think that this article helps me, someone with high hopes for Ukraine, to better understand why the anti-corruption programs are not moving forward faster and better. Bringing about change in a country the size of Ukraine is not easy. What I found most interesting was how it seems that the Oligarchs have more control of the country than the government. MUCH continues to operate without any interference for any organization. It seems that the needs that MUCH meets will remain. We see problems of corruption in Ukraine on different levels of government. Last year, a disgruntled employee anonymously brought false changes against a direct of an orphanage. The investigation went on for about 6 months. The director was found innocent of all charges. The orphanage is in Western Ukraine, very pro Ukrainian. situation. This time, someone wants her job. After all possible complaints have been proven false, one was made up. We sent a letter in support of the director to the proper authority. It was returned to us, explaining that it was written in an incorrect format. The school pro Ukrainian, is in eastern Ukraine, influenced by pro Russian sympathizers in government. And the beat goes on. Very often doctors are in a hurry to prescribe antibiotics for a child or a shock dose of treatment to relieve themselves of responsibility. If doctor prescribes a “weak” medication for a child or one that has “slow-effect,” it will have mild results. When this happens, it appears that the doctor is not so qualified. I saw it when our grandchildren were ill. The parents requested the doctor to make a house call. He prescribed antibiotics without knowing the results of the previous tests. treatment did not begin on time, pathology of the musculoskeletal system and even disability could occur. The doctor ordered the child be put in special stirrups, and remain in this apparatus for five months. The mother of the child decided to try another treatment, to begin a massage therapy treatment. cancelled his recommendation of needing stirrups. A second similar story occurred with a four-year-old girl, named Victoria. infectious nature lowered her immunity system. The main problem was shortness of breath and a clear lack of oxygen. The girl was regularly treated by a pulmonologist and took antibiotics quite often. This time, when the doctor prescribed antibiotics for Victoria, her mother decided to delay using them. She decided to turn to our massage therapist Tanya and her child received a 10-day massage therapy course of drainage massage and massage to correct her spine. It was an unpleasant procedure. During the massage treatment the girl cried. Unfortunately, the pain was necessary. Such a hard massage therapy is necessary in her situation and because of it, we saw good results. When in the middle of the massage course mother with Victoria visited the doctor, the doctor was surprised when he listened to the baby’s lungs. Her breathing improved. Chryps, the wheezing, decreased. The doctor said that antibiotics were no longer needed. How wonderful! Victoria did not need antibiotics! Massage therapy was the correct procedure for this illness! We are so very grateful that God opened the door of massage therapy for Mark thirteen years ago. Because of his need and success, hundreds of children have been treated with positive results. Mark and I are thrilled to be a part of this and see the results! Our goal for 2018 is to find more monthly sponsors to maintain and grow our massage therapy and Transportation Scholarship programs. The village school projects will continue as once a year fundraiser. There is so much to do here in Ukraine. God’s timing and your compassionate support will move us forward. Thank you friends of MUCH! This entry was posted in Christmas Fundraiser, Early Intervention and tagged in a hurry to prescribe antibiotics on February 19, 2018 by Sveta Koehler. Were children whose hearts beat like the speed of a train. To explode their educational experience from the teacher’s dream seed? Bursting in the air as the molecules create a picture sublime! And a climbing rope that would not unravel with each additional ounce? Would be replaced by a smooth chalkboard-wall that everyone could reach? The mystery of an electric motor the children’s minds would finally clutch? That the children’s education would be met with the 21st century tools? MUCH has received all but $470 to complete this years fundraiser beseech. This Christmas season by contributing to MUCH. For 27.6 Hryvnia, one dollar will buy. Send them to MUCH, and a new purpose for them will be found. Has touched the children of Ukraine, and it is your Christmas of which they are a part. May your understanding of true love through giving be clear! 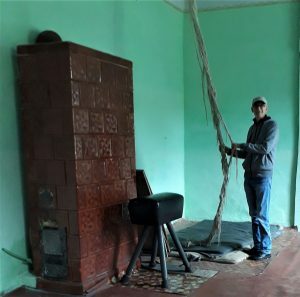 This entry was posted in Children in Ukraine, Christmas, Christmas Fundraiser on January 11, 2018 by Sveta Koehler. If you tried to donate online, we apologize that our website was offline. It is working now and waiting for you visit again. We trust that all have had a blessed Thanksgiving experience. God has blessed Sveta and I with many joys in our life these past six years. We pray that each of you take hold of the many blessings that God has waiting for you. Sveta and I spent 7 weeks in America with our families and friends. 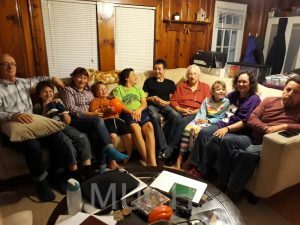 We stayed with new friends in Virginia, and visited two home schools and a church. We were interviewed on a local Radio Station, WPAQ. It was a nice experience. We visited sponsors and spoke at a church while staying with four families of my relatives in North Carolina. We enjoyed meeting with our MUCH Board of Directors. Two weeks in Florida was a special time. My Dad and step-mother, Bob and Jean Koehler, helped us by organizing opportunities to present our story. They organized a meeting at supper with different people every night. It was wonderful to talk with people from all walks of life. We made new friends! It was such a blessed time! Thank you everyone who helped us with housing and food, transportation, and all our needs! Our Christmas fundraiser is moving forward! We are improving education in four village schools and two orphanages. Help us spread the joy of Christmas by providing many of the educational tools that will help these children change their future in Ukraine. Thanks to the friends of MUCH, we have raised $1,500. We still need to raise $2,720 to meet our goal by Christmas. In September, MUCH provided a few educational tools! It was a great beginning. 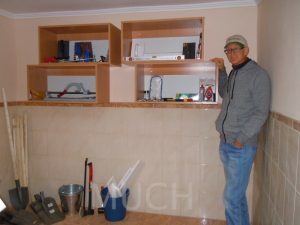 In September, MUCH began to provide tools for the construction class. Let’s meet this goal together! 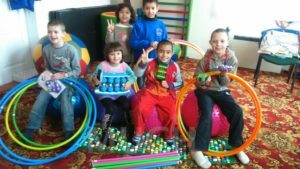 This entry was posted in Children in Ukraine, Christmas, Christmas Fundraiser, education on January 11, 2018 by Sveta Koehler. We reached our Christmas fundraiser goal! Director Lyesya of the Ternava village school is making purchases as I write to you. We will share more next month. to ALL who made this fundraiser a success! We are beginning January 2017 with a number of new programs. You may have read about them in previous newsletters. Here is a list of what we are doing in 2017. Many of you sponsor MUCH through shopping on SmileAmazon. Thank you! We found another shopping opportunity to help you sponsor MUCH. It is called GivingAssistant. You can donate to MUCH by shopping online using giving assistant! Sign up and be amazed! Use Giving Assistant to shop online at 2,823 of your favorite stores. The GivingAssistant innovative business model means that you always earn more cash back when shopping with GivingAssistant. Keep all of your cash back earnings, or donate a percentage of them to Mission Ukraine Children’s Hope. We make the donation for you automatically. Try GivingAssistant the next time that you shop online and let us know what you think! Read on to learn about some of our programs through Sveta’s eyes! The Transportation Scholarship Program began in Chornomorsk in 2007. We currently have four students in college and university programs. Your help for our students is HUGE! We met with them and each of them has a big reason to say thanks to you, dear friends! They are standing in the picture right to left. 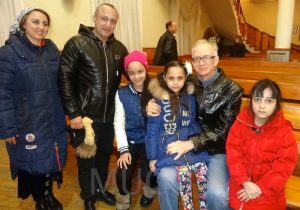 Three years ago Nastya’s father died, and it was at this time that she began to participate in our program. Nastya told us, “Without your financial support, it would be impossible for me to continue my education.” She is studying to be a music conductor. Anya has five brothers and sisters in her family. Some of them are also college students. She asked us to thank you. Because of your financial help, Anya can continue her education. She is studying to be an elementary school teacher with a focus on the English language. For the family of Daniel, your financial gift is also a great help. He needs extra lessons in mathematics. Help with the cost of his transportation to Odessa and back makes a big difference for his family. He, his sister, and parents are very grateful for your help. Daniel is studying at the college of radio and mobile instrumentation. He has a big heart. He shares his meager lunch with his friend who has even less. Arthur’s parents have a small salary. Their situation was very difficult, but their choices were simple. They had money to pay for utilities and food or education, but not both. You gave them a third choice. Arthur is more thankful than words can say. He is studying at the college of music studies. Listen as he plays the violin very well. This year we closed the clothing program in the orphanage, but God opened a new door in another facility. In January we started a massage therapy program for children at the Transition Home. The children in this program live at this facility for nine months. Massage therapy is very important for these children. For them it is a stressful period in their lives. They have been taken from their family for their own safety, but it is never-the-less a very perplexing time. The children need supportive relationships and healing experiences for the body and soul. Through massage therapy, step-by-step, the children will receive emotional, social, psychological, and physical rehabilitation. Our massage therapist, Yana, with her ten years of experience, has a great love for these children. 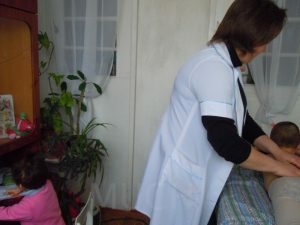 She is happy to give massage treatments to the children in the Transition Home! All who read our newsletters, thank you for your interest in what we do! To our American team, those who pray, encourage, volunteer administrators, and financially support MUCH, you are the heart and soul that God works through to continue to move God’s work forward. Thank each of you from the bottoms of our hearts. 2017 is going to be a very productive year for MUCH. Readers, share our stories with your friends, and be a part of the MUCH adventure! 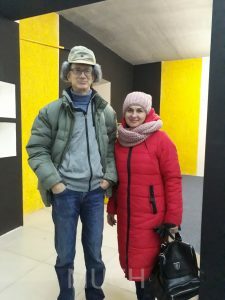 This entry was posted in Christmas Fundraiser and tagged Christmas, Education, giving children Ukraine hope, University scholarship on March 1, 2017 by Sveta Koehler. May brings us to the end of another school year. Let’s look back and see two ways that MUCH has influenced the children through the Christmas Fundraiser. Before we do, I will honor my mother, and the part that she played in the development of MUCH. May 11, 2016, Patricia Murphy Koehler moved from this life to her eternal reward. I would like to share with all of our MUCH readers, sponsors, and friends some brief stories of how Pat, my mother, influenced what became Mission Ukraine Children’s Hope, and how it influenced her. In September of 2000, I announced my ‘calling’ to move to Ukraine. Mom was impressed with my spiritual direction. She was very supporting of my ‘calling’, but she had the normal concerns of a mother. For the next two years, Mom shared related newspaper articles and other current information that she thought would help guide me. When I began to sell all of my possessions, Mom asked what I was going to do with my duplex. I said that I would probably sell it. Without rental management experience, she offered to manage it for me. Mom was not afraid to tackle anything. My passion was for children in need. I believed that I would feed the homeless children in Odessa, Ukraine. One week before I moved to Ukraine, I had not developed a solid plan, and only knew one or two people in Ukraine. As Mom and I ate lunch one afternoon, she looked at me with caring eyes and great concern. She said very gently, “So Mark, what will you do, stand on the street corner and hand out bread?” I told her that if God called me, He would provide direction. It was at this point that Mom’s faith began to grow. Toward the end of 2003, it was clear that my ministry was established. It was also clear that to continue, I needed a non-profit status to allow for tax deductible contributions. 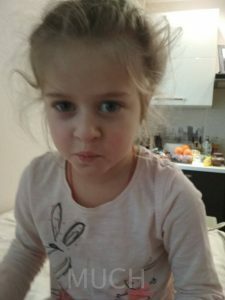 Mom realized all of the factors involved and set about creating Mission Ukraine Children’s Hope and the non-profit status without any legal help. This task was complete in March of 2004. Until that time, Mom and I were in constant contact, moving ‘my mission’ forward. Mom was my biggest cheerleader. When she created the non-profit, MUCH, she solicited board members. Among them were my brothers and my sister. Mom was the driving force, with God as her fuel, to move MUCH forward. Also in 2004, now under the guidance of a board of directors, we began the massage therapy program for children with disabilities. This was a great joy for Mom, having taught students to be teachers of children with disabilities at Slippery Rock University for twenty years. She was atop all of the medical details that were discussed at the board meetings. 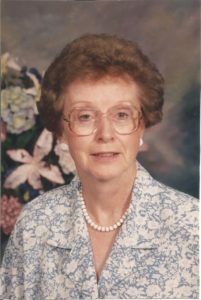 Mom was the treasurer of MUCH, carefully watching over the financial process along with the finance committee. From the beginning, it was Mom’s conversations with friends and acquaintances that grew the support of the mission. Her own contributions grew as the mission blossomed. Until her stroke in 2014, Mom poured her heart into MUCH. For twelve years, Mom set to the task of taking her part of God’s work in Ukraine as her personal ministry. Every couple of years Mom would tell me, “Mark, because of your faith, my faith is growing.” The truth is, her faith was growing because she engaged in the mission. Mom’s faith in God grew because she was a vessel that God was working through. This had always been the case in her many endeavors. MUCH required Mom to believe in what she hoped for and have full confidence about what she could not see. This was the faith that was growing in her over the years. And it was this faith that prepared her to meet Jesus face to face on May 11. Pat, my wonderful mother-in-law, was more than I could ever have dreamed. She was a beautiful, kind, tactful, and intelligent woman, and she loved me. My mother-in-law was an example for me. Her life was filled with helping others find their gifts and talents. I heard many stories of many people that she helped to climb the steps in their fields of study. It was so impressive to me. It was not as if she gave a one-time financial gift, but rather, she helped people see their hidden talents and opened opportunities to use them. It was a gift from God, and Pat used it fully. It’s hard to part with loved ones, particularly when you share a common Spirit. Mark and I believe that we will meet her in Heaven in the mansions of our Heavenly Father and the Lord Jesus Christ. The work that Mark and Pat started in 2002 continues. God is the director, we are the vessels. 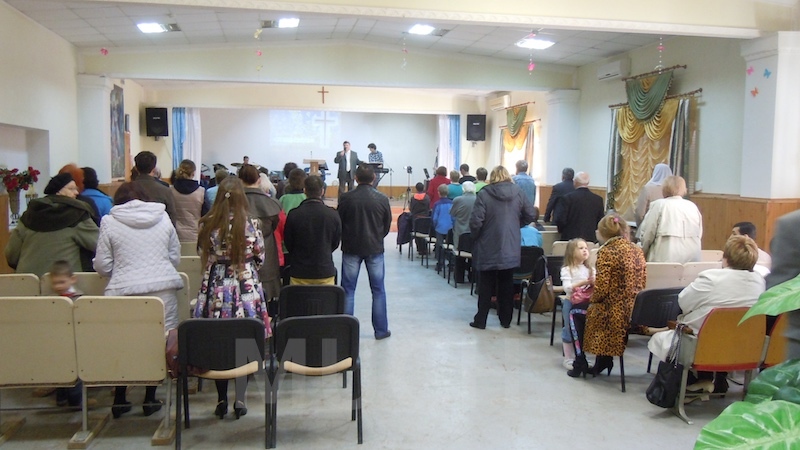 Marganets School № 3 received a great blessing through the Christmas fundraiser. Now, all of the elementary classes use computer tablets for many lessons. The fifteen computer tablets that MUCH bought for the school are stored in a safe, in a secure room. Each of the elementary classes is scheduled to use the tablets in their classroom at different times of the day. In this fourth grade class, two children work with one computer tablet. The children were very excited to show us the video programs that they created. The children of grades one through six are using the computer tablets in each of the subjects to enhance their learning experience. Internet access is available throughout the school. I call this a Christmas gift that keep on giving. Thank you MUCH sponsors! The lighted sandbox was another gift from the Christmas fundraiser. 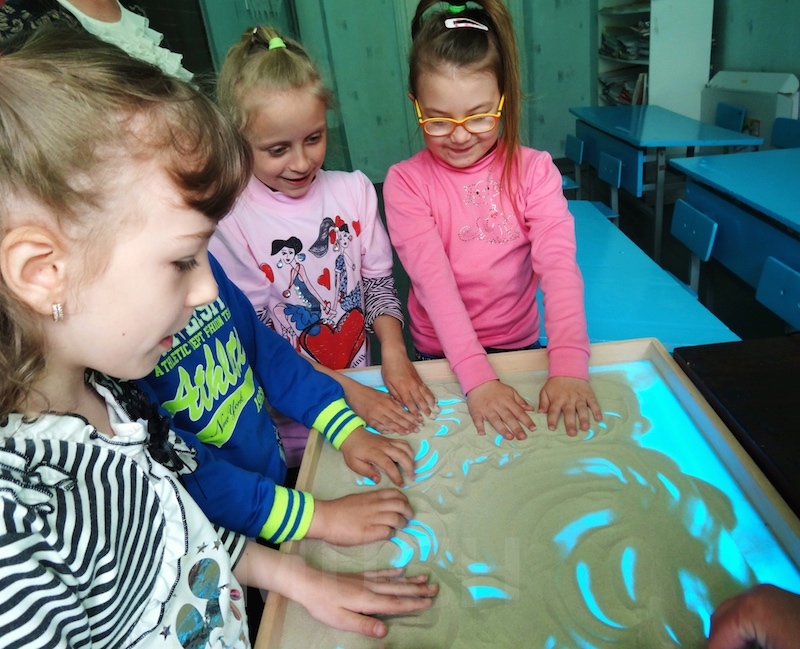 The school psychologist and speech therapist use this sandbox to connect with the emotion, creative thought, and self expression of the child. They are having many great positive results. We saw great joy on the children’s faces when they worked in the sand. Mark and I watched as the children and School Psychologist showed us how they use this gift from MUCH. Sponsors of MUCH, we are very grateful to you for helping the staff of this school improve their programs to connect with the children in the best ways. Your gifts are improving their education, and helping to heal the brokenness of the children. Thank you very much! Two years ago Anatoliy Vlasov, the visionary for the programs and projects in Marganets, left this life to go to his final reward. This May, Mom, the heart and soul of promoting MUCH, has also moved on to her final reward. What will become of MUCH? As always, God will provide. MUCH is ready for more missionaries. We will talk more about this in the June Newsletter. 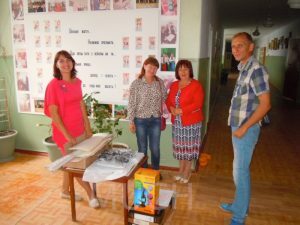 This entry was posted in Changing children's lives, Christmas Fundraiser, Ukraine on August 10, 2016 by Sveta Koehler. It is 37F as I write this letter, but the sun is shining and the wind is blowing the clothes dry. It is time to start the tomatoes inside, prepare the land outside, and think spring. Sveta is chomping at the bit, so to speak. 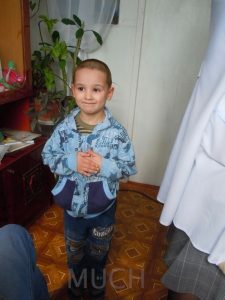 In Sveta’s Journey, she shares our first picture result from the Christmas Fundraiser! 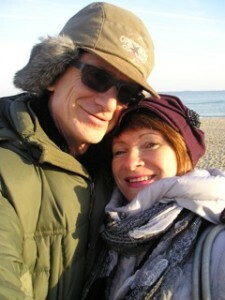 Sveta and I haven’t written much about our church life in the newsletter. Here is a brief explanation of our ministries in our church. Two years ago, the pastor of the church where we were married asked us if we wanted to be members. We had attended Sunday services for about four months. We accepted his invitation joyfully. In the same meeting, he asked if we were interested in any particular ministry. We said that we would like to begin a healing ministry. He thoughtfully said, “We will go forward step by step.” Now, each Sunday while the worship portion of the service continues, we have a few chairs in the back of the church where people may come for prayer for healing. Our team has grown from two to eight. 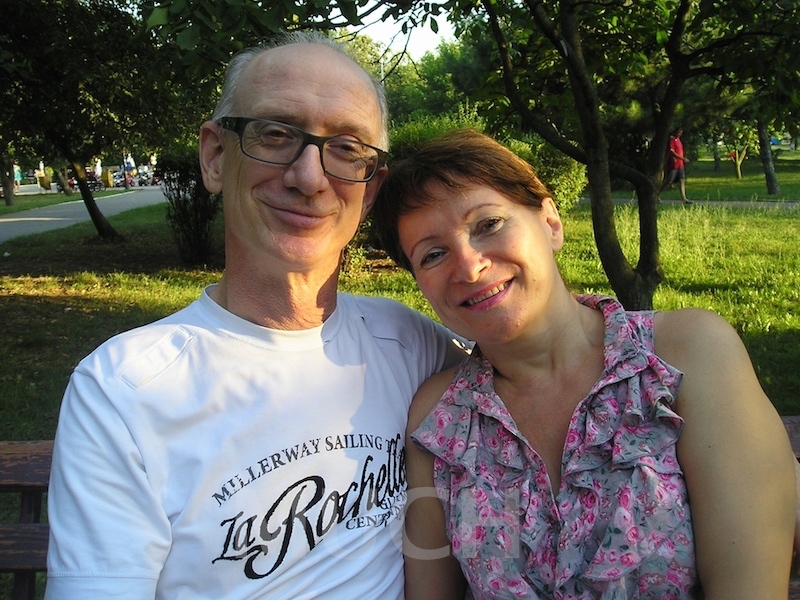 Within six months of attending the pastors home group, Sveta and I asked permission to begin a home group of our own. We live on the edge of the city where there are a number of people from our church. Quickly, our home group grew and one of the members was ready to lead a group of her own. While we were in America, four more home groups began. The need was evident. It seemed that the church was waiting for an example. 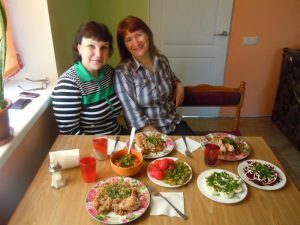 The people in our home group now attend other local home groups, leaving Sveta and I to meet another need in the church. We have discussed using our home group setting for teaching new and spiritually young Christians the foundation beliefs of the faith with the pastor. He has approved this and we will begin in March. In October 2011, Mark sent me to Dobromel, northwestern Ukraine, to give a twenty-day massage therapy demonstration. He was confident that there would be results within twenty days, but to tell you the truth, I was not. It was a very difficult time for me, but in the end of the twenty days, I did see results. I will share about some of the children who continue to benefit from massage therapy and the exercise items that you provided through the Christmas Fundraiser. I will tell you stories of two of the boys in this picture. Sasha, on the far right, came from a Baby House a number of years ago. (A Baby House is an ill managed facility where the system maintains life for infants and preschool children who are without family.) He was quite wild when he first arrived at the Dobromel Orphanage. In social settings he was unable to interact calmly with other children. In the classroom, he sat on the window sill, looking out the window. After a number of massage therapy treatments, Sasha became calm, sat at his desk in the classroom, and became more sociable with the children. Igor, second from the left in the same picture, was new to the orphanage last year. Mark and I watched him in a classroom setting. He demanded attention, acting out while the teacher was instructing the class. Paul, our second massage therapist, connected with Igor through the massage therapy treatment. Paul has a great personality and interacts well with the children. Now, Igor is doing much better in the classroom. His interaction with the children has improved, also. I wish that you could be a ‘fly on the wall’ to see first hand the big changes in the children that I see when we visit the Dobromel Orphanage. Thank you so much for your contributions to the Christmas Fundraiser. You can see in this picture the items that Natalya, our first massage therapist, bought with your financial gifts. She compliments her massage therapy treatments with exercise, using different instruments to stretch and strengthen the muscles of the children. They send you a Big Thank You! We are seeing big changes in the children as each year goes by. Sveta and I, and all of the MUCH team thank you for reading our newsletter and participating in our work through financial support, prayer, encouraging letters or Emails, and sharing about our journey with your friends. This entry was posted in Changing children's lives, Christmas Fundraiser, Massage for children with disabilitiees and tagged Home group, Massage Therapy on August 8, 2016 by Mark Koehler. contribution of $6287.50 exceeded our goal by $321.50! What is so magical about this number? This year, the children of MUCH will lead the way in better education and healthcare. It will happen because of your generous donations. 15 computer tablets, 1 Power Point projector, 11 classroom wall maps for history and geography, 3 wireless microphones for sports events, a table sandbox that is lighted from the bottom – for school psychologist, medicines and vitamin for one school year for the Transition Home and for School #3, craft materials for one year for the Orphanage in Marganets, and camping equipment for the children at the Dobromel Orphanage. MUCH Sponsors, you made this possible! How will we use the extra $321.50? A special need surfaced while we were in America. This is Natalya’s story. We visited Dobromel in September of last year. We visited Natalya and Paul, the new massage therapist. We talked about massage oils and other small items, but nothing else was mentioned. While in America, we received an Email from Natalya. She shared that the exercise equipment in the room beside her massage room was moved to another part of the school to be used for another purpose. She sent us a list of things that she needed to do her exercise work that goes hand in hand with the massage therapy. 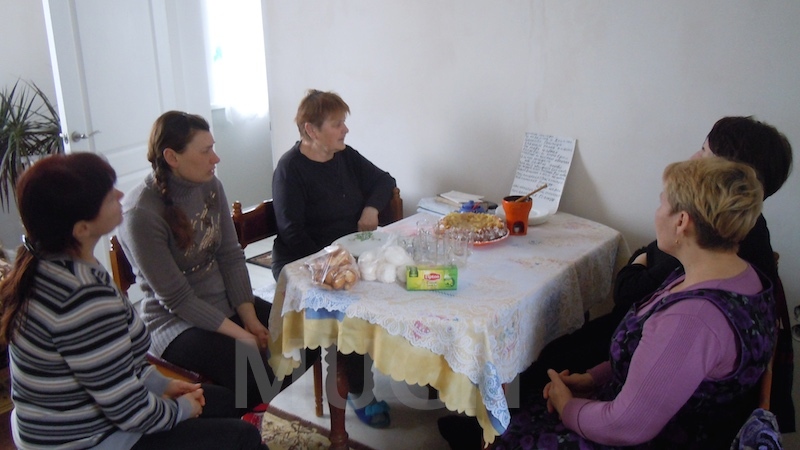 She was shy to ask for help, but knew that she had to bury her pride and share her list of needs with Sveta and me. The list was about exercise balls, jump ropes, hula hoops, gymnastic sticks, exercise mats, a tread mill, and some other items. These are all items that we have seen her use with the children. The total that she needs is $414. The additional $321.50 has been approved to go toward Natasha’s exercise program. So, we will almost made a whole other Christmas wish come true. Natalya will have enough to get most of what she needs. The remaining $92.50 will come when the time is right. Friends of MUCH, you have done it again! Thank you for your love for our children and compassion toward their great needs! Our return to Ukraine took five days. When we were expecting our first flight from Raleigh-Durham to Washington DC at 3 PM, our plane was late by two hours. As a result, we were late for all connecting flights. In Washington, Mark stood in line three hours to get a new flight schedule. It was not easy to find flight connections, given that without a Schengen visa, I could not stop in more than one European Union country. Our next flight was 28 hours later and we had to pay for a night at a hotel. Upon arrival in London, we spent 10 hours in the airport waiting for our next flight. We arrived in Munich at 11PM. 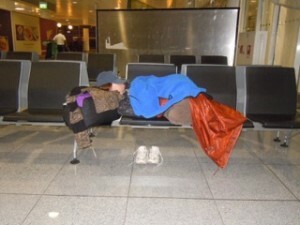 Since I did not have a Schengen visa, I could not go into the city to stay at a hotel, so we had to spend the night at the airport sleeping on the bench. before the next flight to Lviv. Our time in Munich was also 10 hours. Finally we arrived in Ukraine! I thank God that we got the last two tickets for the Lviv-Mykolaiv train, albeit in different wagons. We were waiting for our next surprise. Mark stayed with the luggage inside the station and I ran to buy some food for the long eighteen hour journey. Later, I learned that a police woman tried to tell Mark to leave the building. When she could not communicate with him in English, she grabbed my two bags hoping that Mark would follow her. Of course Mark followed her with the rest of the luggage. After 15 minutes, I returned to see a huge crowd of people standing near the building of the train station. It turned out that someone had call in a bomb scare. The police and station staff evacuated all the people to the street. Where was my Mark? Our train was receiving passengers. It is so nice that Mark is tall. I quickly found him in the crowd. We made our way to our train around the outside of the building. I felt fear begin to attack me, but quickly remembered that God is my Defense. I put my hope in Him. All around me I saw panic, fear, and hopelessness in the faces of many people. Thank you again for all of your interest and support for our work with the children. I believe that 2016 will be a very important year in Ukraine! This entry was posted in Christmas Fundraiser, Uncategorized and tagged 77 hour transit, Christmas funraiser results on August 8, 2016 by Sveta Koehler.